When I was a little kid, I loved pretend writing so much! I would make pretend bank checks and pretend waitress food order tickets. I’d even rip the order forms out of the Sear’s catalog and fill them out for fun. 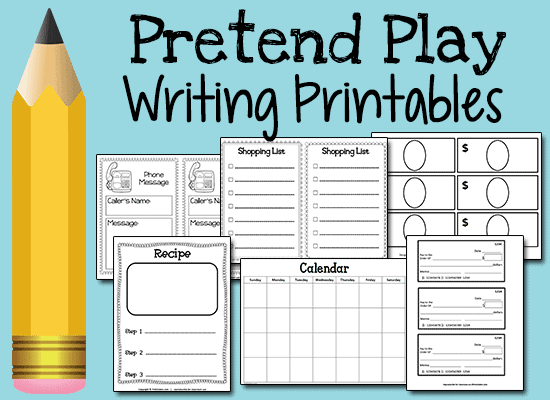 You can thrill your youngster with these terrific Pretend Play Writing Printables. There’s a shopping list, play checks, play money, recipe cards, phone message note, and a calendar – these are the cutest things!